WHEN WE TURN ON THE KITCHEN LIGHT, THEY SCURRY FOR COVER BEHIND PICTURES ON THE WALL, AND CRACKS IN THE BASE-BOARD… ISRAEL ‘SPOTTING’ FOR THE U.S.
Was it the executed or the executer that has Downs syndrome? 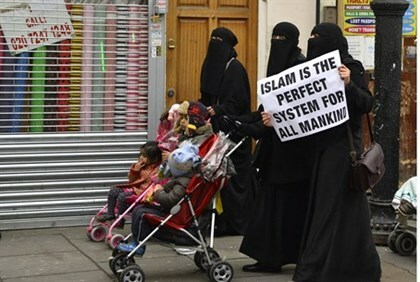 WELCOME TO GREAT BRITAIN, DOES THE WEST KNOW RIGHT FROM WRONG ANYMORE? THEY CAME, THEY COVETED,THEY MOVED IN, THEY PROCREATED, THE WEST FOUND ITSELF BRED OUT OF POWER, CRUSHED BENEATH AN OCEAN OF OPEN MOUTHS AND OUTSTRETCHED PALMS. This entry was posted in History and tagged canadian parliment, great britain, islam immigration by jackhammerjohn. Bookmark the permalink.